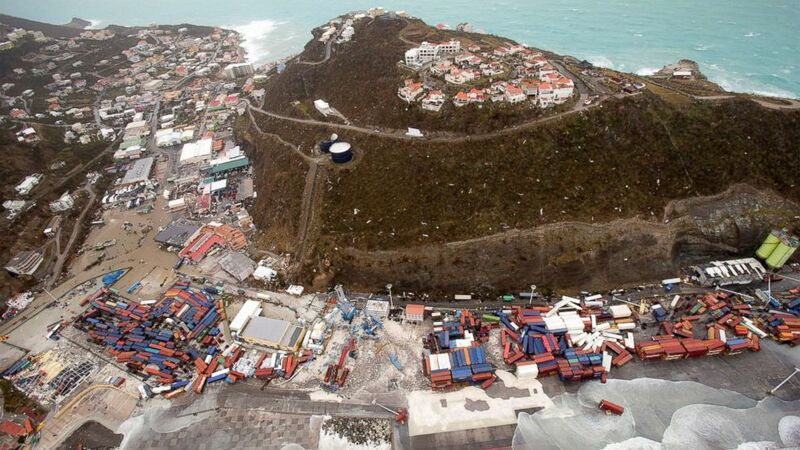 The popular vacation island was decimated by the Category 5 storm. 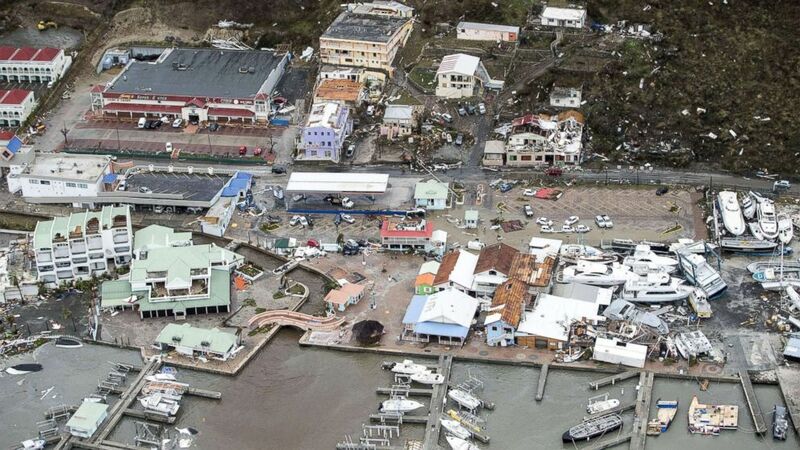 Aerial photos from St. Martin show the serious damage the popular vacation destination sustained as a result of Hurricane Irma's 185 mph winds. St. Martin's famous Princess Juliana International Airport, where spectators are known to cling to the barrier fences to feel the jet blast of an airplane taking off and planes fly right over the heads of beachgoers, was decimated by the powerful storm Wednesday. 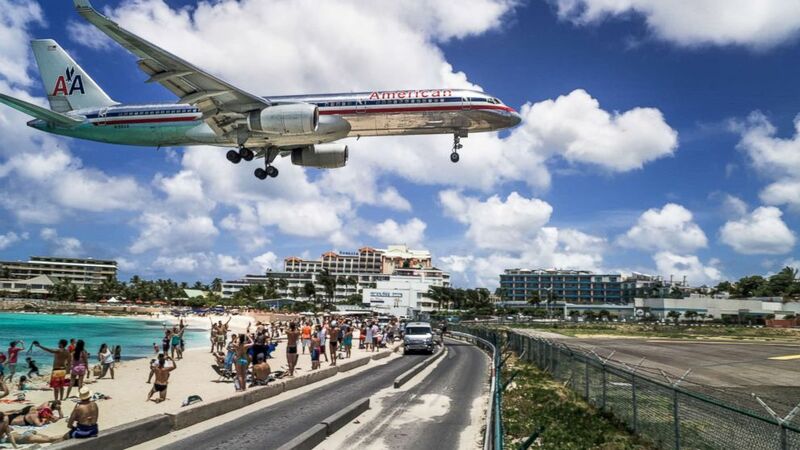 (Getty Images, file photo) A commercial airline landing at the Princess Juliana International Airport in St Maarten. The Dutch Royal Navy tweeted that the airport was "unreachable at the moment," but that getting it back up and running is a "high priority for the delivery of help and supplies." The airport was not destroyed, but it is not functional, said French Interior Minister Gérard Collomb. Support will have to be delivered via helicopter, he said. 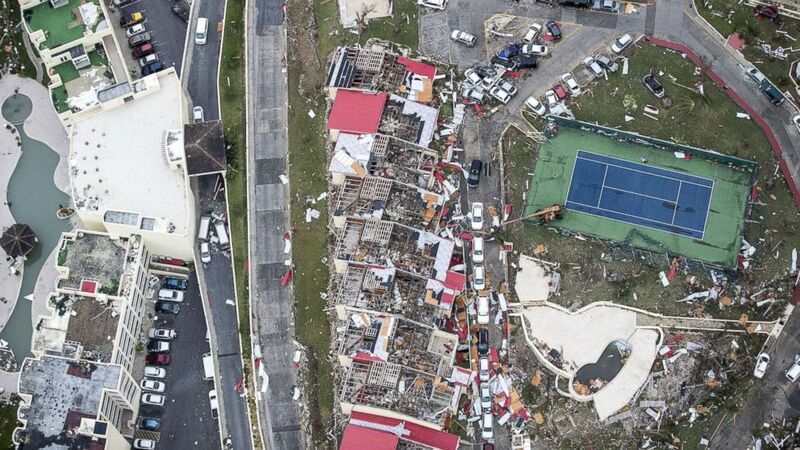 (AFP/Getty Images) An aerial photography taken and released by the Dutch department of Defense, Sept. 6, 2017, shows the damage of Hurricane Irma in Philipsburg, on the Dutch Caribbean island of Sint Maarten. Sonesta -- which has three resorts on the island, including one next to the heavily damaged airport -- said in a statement that the damage to its structures is "severe." None of the resort's guests or staff members were harmed during the storm, Sonesta said in a statement. (Netherlands Ministry of Defense via Reuters) A view of the aftermath of Hurricane Irma on Sint Maarten Dutch part of Saint Martin island in the Caribbean, Sept. 6, 2017. Collomb said the island's "four most solid buildings" on the island had been destroyed and that more rustic structures were probably "completely or partially destroyed." At least eight people were killed and 21 more were injured on St. Martin, Collomb said. 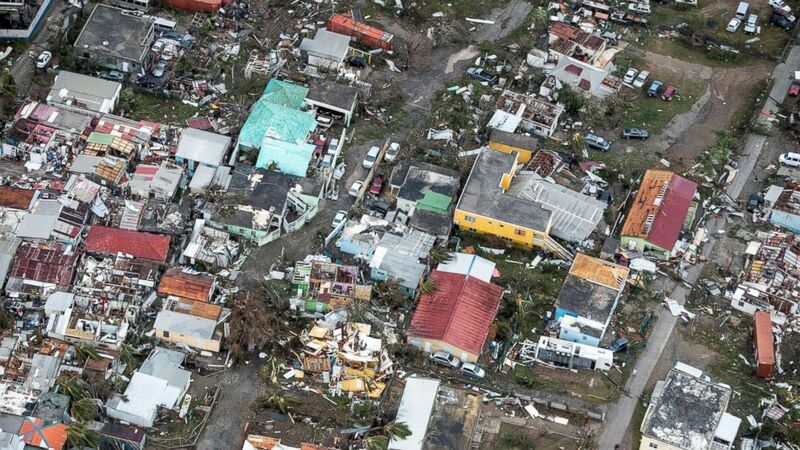 On Wednesday, Netherlands Prime Minister Mark Rutte said in a statement that the island of St. Martin was among those that "have unfortunately been hit hard." (Gerben Van Es/AFP/Getty Images) A view of the aftermath of Hurricane Irma on Sint Maarten Dutch part of Saint Martin island in the Caribbean, Sept. 6, 2017. Rutte said that "as soon as the weather permits," two marine ships from Aruba and Curacao will deliver military and relief supplies. 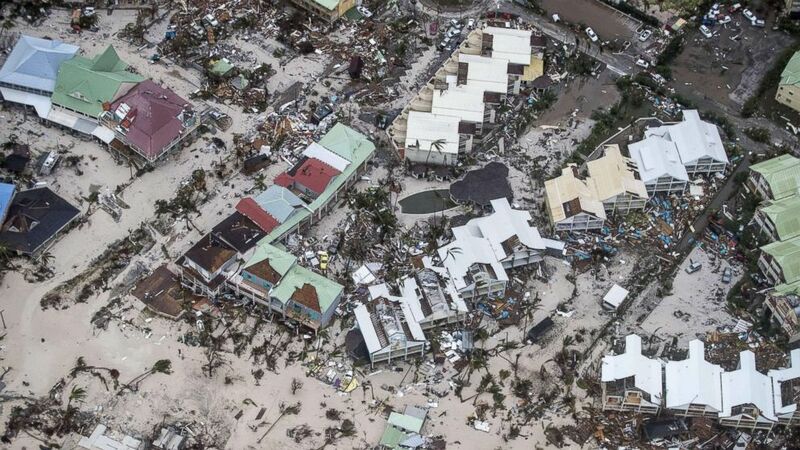 (Dutch Defense Ministry via AFP/Getty Images) An aerial photo shows the damage from Hurricane Irma on the Caribbean island of St. Martin, Sept. 6, 2017. Hurricane Irma, still a Category 5 storm, is forecast to move to the islands of Turks and Caicos and the southeastern Bahamas by Thursday evening. It is expected to hit Florida early Sunday morning. ABC News' Chris Donato and Ben Gittleson contributed to this report.